Craig is a highly sought after motivational speaker for small groups and large conferences nationwide. He tailors presentations and programs to suit the needs of various organizations’ content, goals and duration. In addition to speaking engagements, Craig also serves as a private consultant creating customized action plans for specific training needs. As an experienced curriculum developer, Craig can help bring to life presentations and workshops for small and large groups. 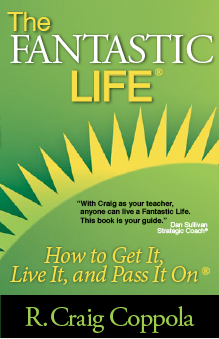 In this presentation, Craig goes through 6 of his 18 rules for living The Fantastic Life. This motivational presentation will give you tips and techniques to find the places and circumstances where you can thrive, focus on where you’ve been in order to go where you want, and articulate what The Fantastic Life means for you. Below is sample from his talk at the Arizona Builders Convention. Contact us to get more details on booking a speaking engagement.